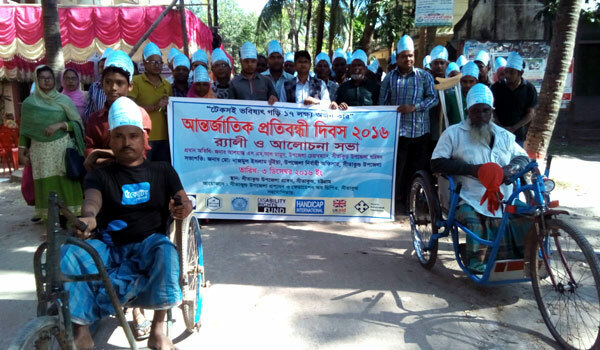 Sitakund Upazilla Administration and Federation DPOs of Sitakund jointly observed International Day of Persons with Disabilities 2016 at Sitakund on 03 December with the support of YPSA and PKSF Bangladesh. The International theme of the day was “Achieving 17 Goals for the Future We Want”. Colorful rally and discussion meeting were arranged to mark the day. Mr. Nazmul Islam Bhuyna , Upazilla Nirbahi officer ( UNO) of Sitakund has inaugurated the rally from in front of Upazilla Complex. After the rally, he presided over the discussion meeting held at the Upazilla Complex of Siatkund. 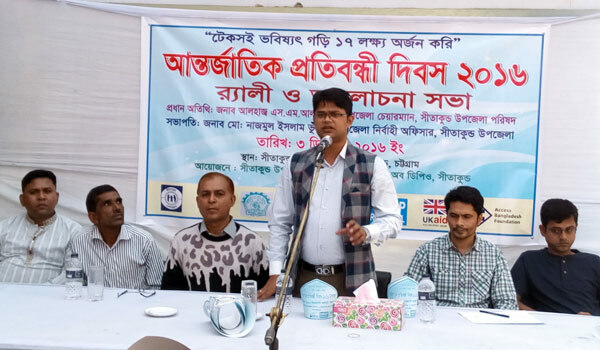 Sah Sultan Shamim, Station Manager of Radio Sagor Giri and President of Sitakund NGO Foundation, Md. 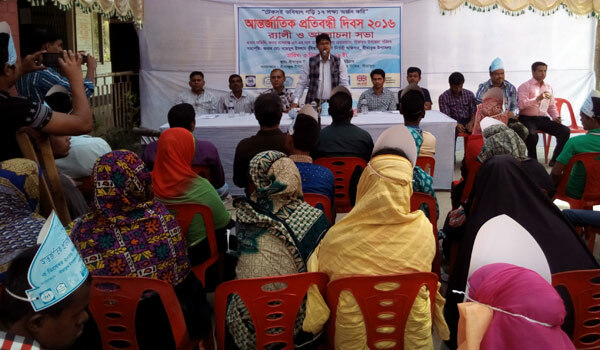 Didarul islam Area Coordinator of YPSA, Arup Ratan Chowdhury Disability officer of Handicap International were present as special Guest. Mr. Joinal Abedin, Finance Secretary of Federation of DPOs delivered welcome speech in the meeting. Mr. Samsul Alom, Mr. Nur Nobi, Ms. Jesmin Akter and Mr. Lokman goni have delivered their speech on behalf of Federation. Mr. Newaz Mahmud, YPSA moderated the discussion meeting. “Discrimination is still barriers to the full participation of people with disabilities to employment, education and social protection. Barriers include the limited health services, education, unemployment, physical inaccessibility to buildings and public transport. The right to participate in public life is essential in creating democracies, active citizenship and reducing inequalities in societies. The International Day of Persons with Disabilities aims to promote real opportunities for everyone. We need to work together for achieving 17 goals which focuses on the role of Sustainable Development Goals in building a more inclusive and equal world for people with disabilities.” Speaker said in the meeting. 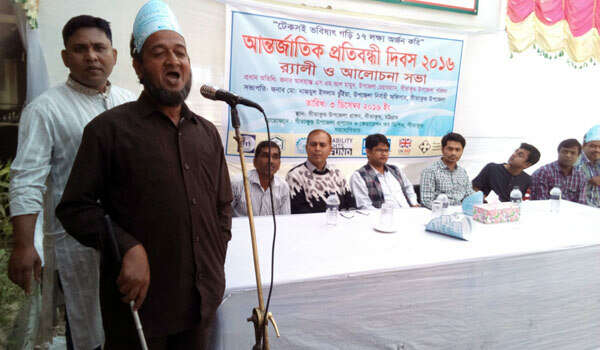 UNO of Sitakund has announced some opportunity for the people with disabilities of Sitakund. He requested federation to provide a list of most vulnerable PWDs of Sitakund. After getting the list he offers some supports to them through Upazilla Social Welfare.